I make my house safe for my cats because I've learned you don't mess around with house fires. Taffy repeatedly bit her owner’s hand, Tizzy pawed at her owner’s nose incessantly, and Beau hurled her body against her owner’s closed bedroom door. 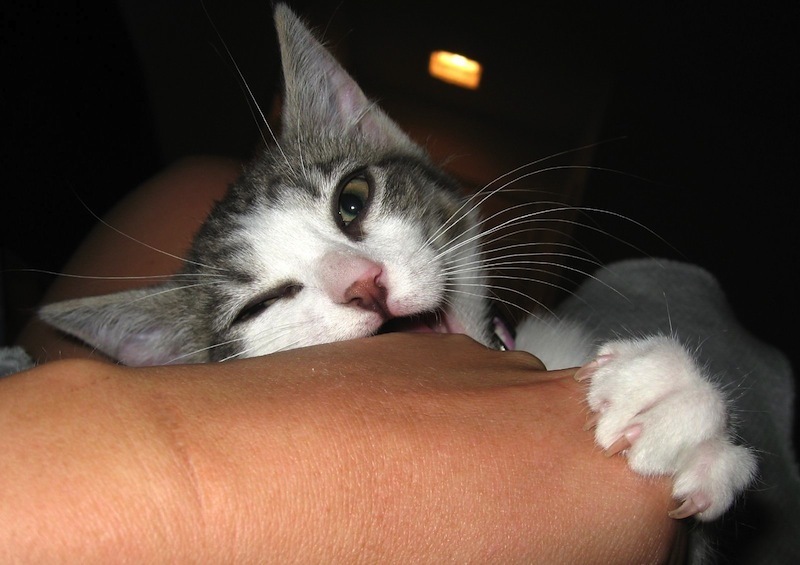 Cats behaving badly? 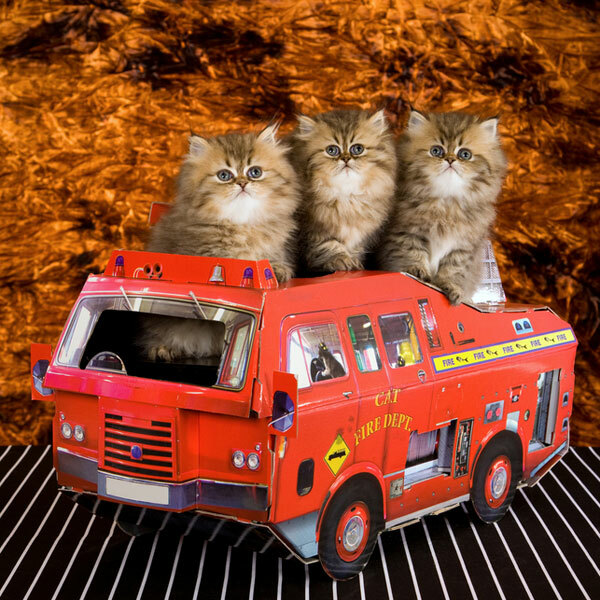 Actually, these cats saved their owner’s lives by alerting them to house fires. 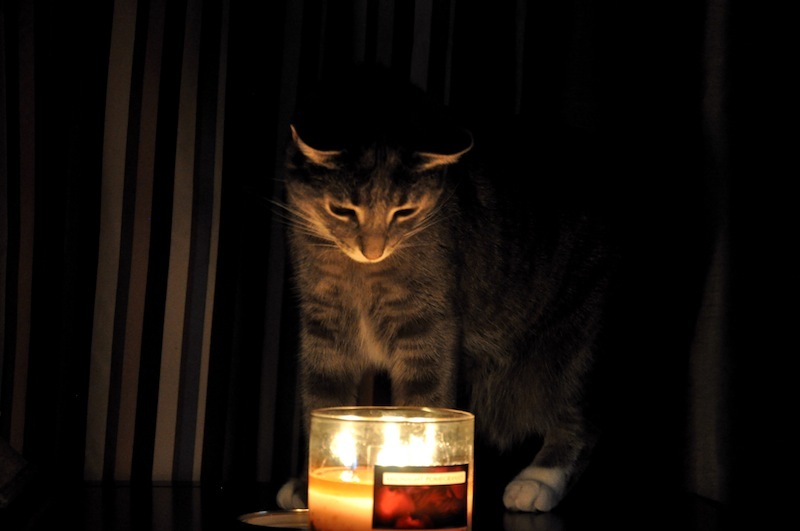 If you live with cats, I don’t have to tell you that most like to stick their noses, paws, teeth, and even tails into potentially dangerous things, such as pots and pans on gas stovetops, flickering candles, and warm fireplaces. Don’t leave these things unattended, and extinguish all flames before leaving the house, even for a moment, or going to sleep. If you can’t monitor these situations, exclude your pet from the area or confine your pet in another part of the house where he’ll be safe. And what about those nasty exposed electrical cords? 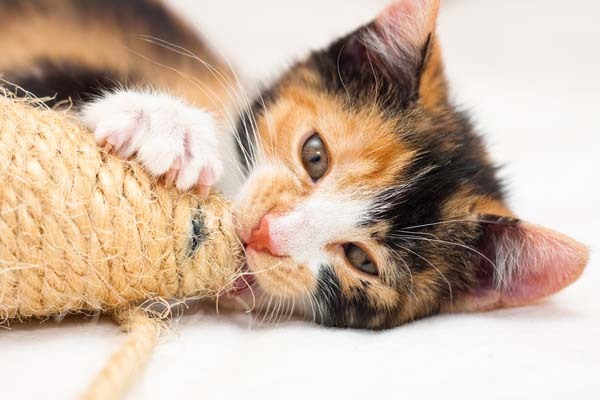 Your cat may not intend to bite into an electrical cord, but he might if an errant piece of kibble or toy is nearby. Forgot the tape. You can now buy attractive tubes to confine electrical cords. If you’re lucky, you’ll be home when a fire starts and be able to get out of the house with your cat. That’s when the training you’ve done to accustom your cat to his carrier is so important. What, you haven’t? It’s never too late to start. 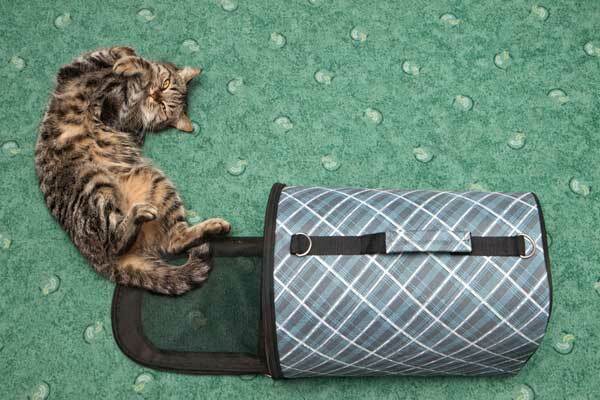 Being able to get your cat into his carrier and do it quickly could be a matter of life and death if you need to get out of your house fast. Be sure to have as many carriers as you have cats and keep them in a handy place. They won’t do much good if they’re in a place that’s not convenient, like the attic, garage, or basement. In addition, when you make it outside, having your cat in his carrier will prevent him from bolting if he panics. It’s also important for your cat, even your strictly indoor cat, to wear a safety collar with visible identification that’s current. 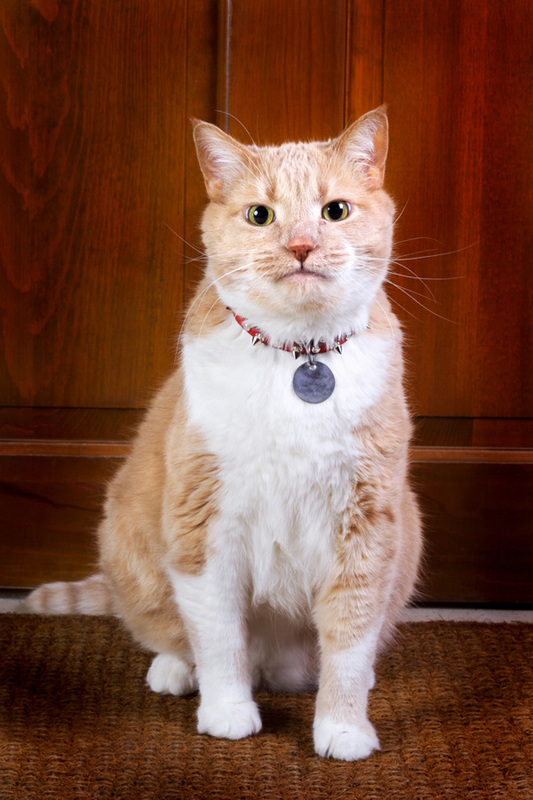 Should you be unable to locate your cat, his collar with up-to-date contact information, along with a microchip that you’ve registered and kept current, could help you and your cat be reunited. It’s a good idea to provide your microchip registry with the names and contact information of relatives, friends, or neighbors who have agreed in advance to temporarily care for your cats if you are unable to do so. If you don’t already have dozens of photos of your cat or cats on your phone, take some face and body shots. You may need to use these to create lost cat flyers. 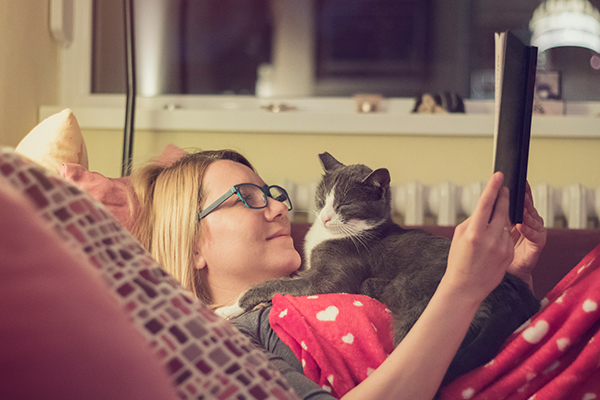 Your cat probably has a bunch of favorite places to sleep or hang out. 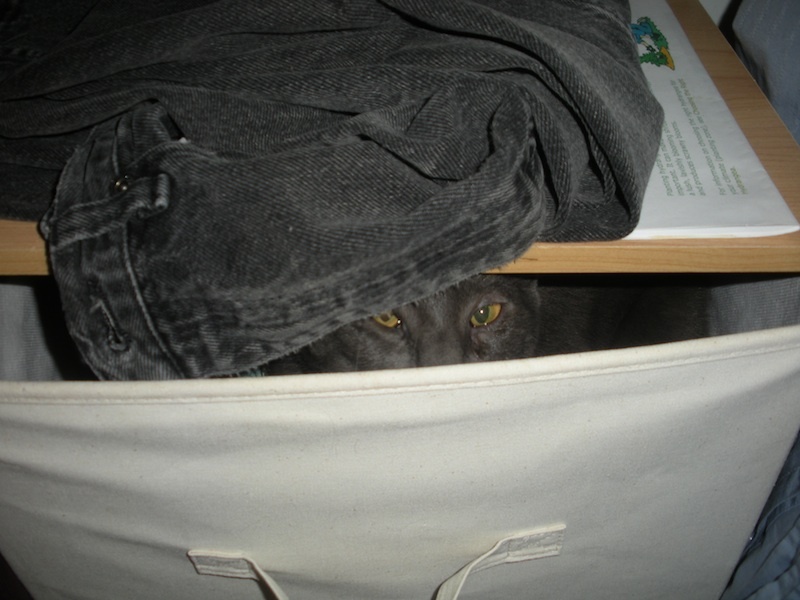 Make sure family members know where your cat likes to hide. What if you can’t find your cat and have to leave the house? Open a door that leads to the outside and once you’ve escaped, call your cat. Hopefully, he’ll hear your voice and come running. Maybe he’s already outside with another family member. That’s another reason why it’s so important for everyone to swiftly gather in a designated meeting spot. A fire may break out when you or other family members aren’t home. That’s why my neighbors have keys to my house, have met my cats, know where to find the cats’ carriers, and know where my cats hide. Of course, a fire may occur when your neighbors aren’t home, either. If you have an alarm monitoring service, let the company know that you have cats and how many. Such services can instantly dispatch rescue personnel to your house if a fire breaks out. The more you can do to alert rescue personnel that you have cats, the better. Put static cling emergency stickers on windows near all your house doors leading to the outside. These can also easily be updated or removed if pets no longer reside in the house. 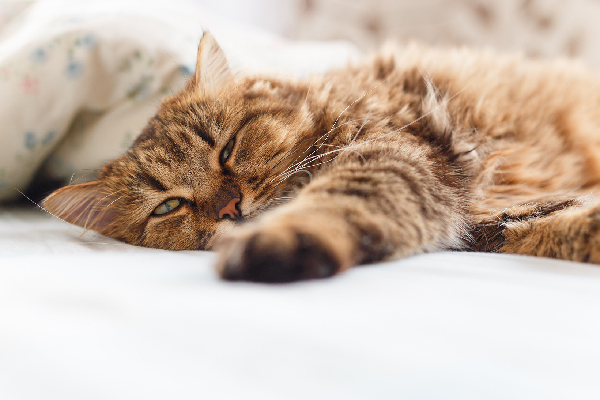 Once you and your cat have reached safety, you can care for him if he’s hurt. 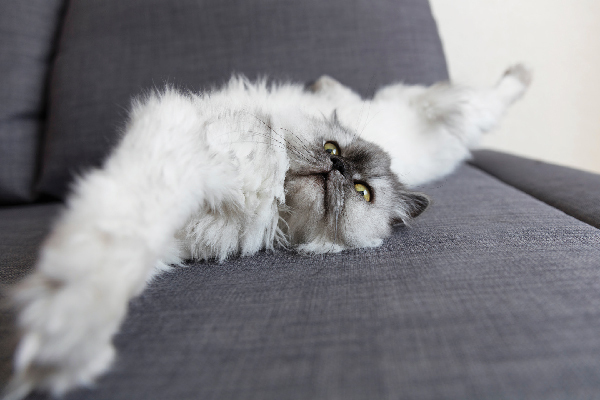 Your chances of succeeding and avoiding injury to yourself or your cat may be increased if you’ve taken a pet first aid class. 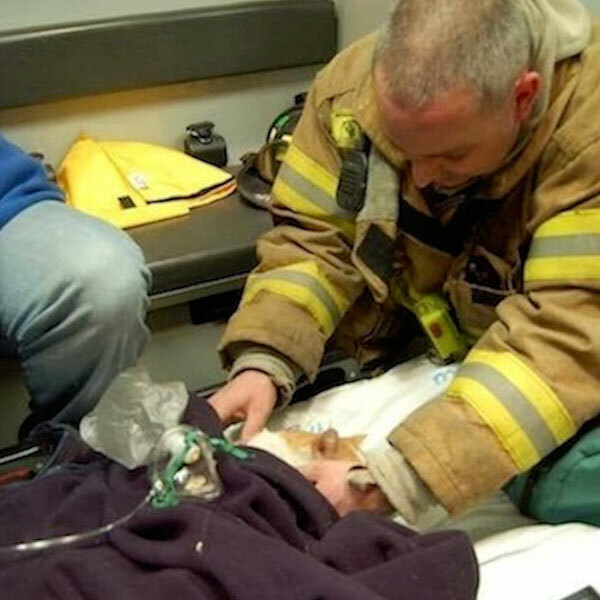 Check with rescue personnel about special pet oxygen masks if your cat is having trouble breathing. Even if the fire is minor and your cat appears normal, have him examined right away by your veterinarian or an emergency animal hospital if your veterinarian isn’t available. Smoke inhalation can be fatal or lead to other complications such as pneumonia or bronchitis. Hopefully, you will never experience a house fire. But if you do, this information may increase your cat’s chance of survival. Has your cat ever been in a fire? How did you get her out? Was she injured? Tell us your story in the comments. About the author: Nancy Peterson is a registered veterinary technician and award-winning writer. She joined The Humane Society of the United States (HSUS), the nation’s largest animal protection organization, in 1998 and is currently the Cat Programs Manager. She lives in Maryland with her cats Luna, adopted from a feline rescue; Toby, adopted from an animal shelter; and Jenny, a feral kitten she fostered. Check out the HSUS cat information here.